The Pop quad rose to prominence in 2017 after winning The X Factor and have been widely hailed as being one of the show’s most credible offerings in years. For, having formed long before their appearance on the platform, they dazzled on a weekly basis with original songs that were both self-penned and self-produced. In the time since their stint on the show, they’ve toured intensely and fed fans with fresh material. That Grape Juice caught up with the group (which is comprised of Myles, Ashley, Jamaal, and Mustafa) to discuss the project, their future plans, their X Factor journey, and more. That Grape Juice (Sam): Congratulations on the release of your new EP ‘Rome.’ It has a unique title, what does it mean? 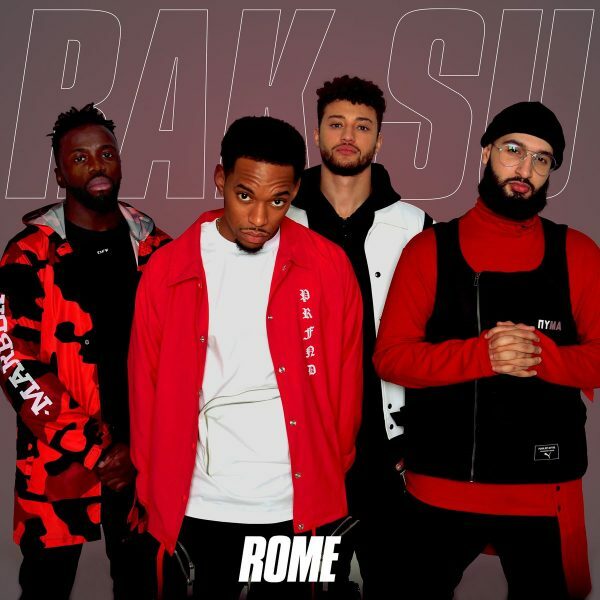 Rak-Su (Ashley): We picked the title Rome because we’ve been making music together now for like a good five years as Rak-Su and longer before that. And while we’re really happy with some of the things that we’ve achieved, it obviously it took us a while to get there. And we know that the fans have got kind of some dreams for us and we’ve got dreams for ourselves, but “Rome wasn’t built in a day” and it’s going to take some patience to get there. That Grape Juice: Great answer! 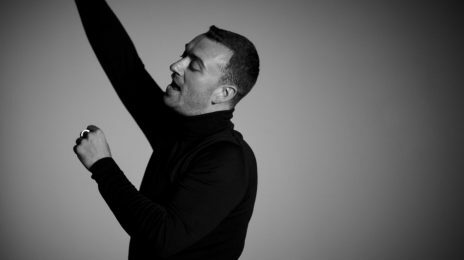 We’re loving the lead single ‘Into It’ – as are your fans. Is it indicative of the entire project? 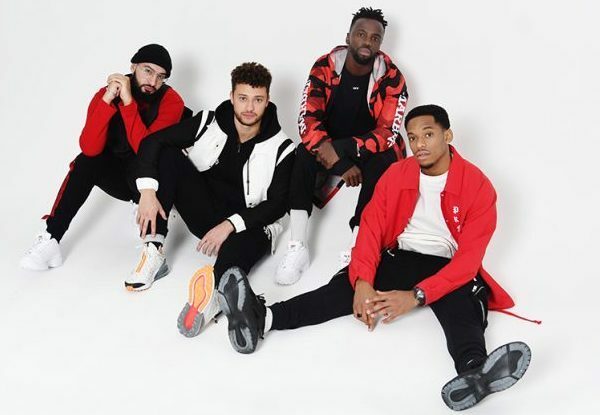 Rak-Su (Myles): Basically, when we released ‘Into It’ and the whole project we just wanted each song to sound different, because us four have listened to different genres of music, we’ve been inspired by different types and styles of music. And the drum pattern just clearly handed itself to the New Jack Sing kind of vibe to it. But ‘Thunder’ for instance and for comparison has got more of an island, Caribbean vibe with African sounds in it as well. So each song hands itself to different styles and different genres, and that’s what we kind of wanted to entwine in the EP because like I said we’ve all listened to different styles of music and we’re always inspired by different styles of music. That Grape Juice: That’s a great segue-way into inspirations. Who are some of of the acts you’ve looked up to? Rak-Su (Mus): I think for me in terms of music, it would be a producer called J Dilla. Rak-Su (Ashley): For Jamaal, his biggest inspirations would be Chris Brown, Usher. For me it would be Drake, J. Cole and Skepta. For me, my main inspiration, the person I kind of sand all over is Jay-Z. I’ve always loved Jay-Z, from day one I’ve always loved him. Just his flow, his wordplay, his storytelling is sick as well. Rak-Su (Myles): Yeah, for me it’s always been Jay-Z, but then I’m a massive fan of Justin Bieber as well. 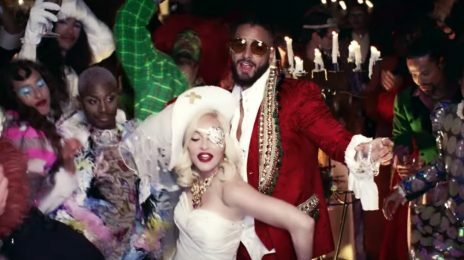 That Grape Juice: Speaking of big musical names, do you have any dream collaborations? Rak-Su (Myles): I was going to just say collectively we’d all agree that the person we would want to would be Rihanna, definitely. The likes of Rihanna and Beyonce, people like that. We all have different– for personal reasons we’d like to but definitely, I think the person we’d most like to collaborate would be definitely Rihanna. That Grape Juice: We’re loving the concept behind the EP, about it taking time to build. That said, a lot of your fans are excited about “the debut album.” Any word on when they can expect it? Rak-Su (Mus): The focus moving forward is more music whether it’s in a format of an album or format of singles or other EPs. Probably the most important thing for us is to consistently release music and we’re on our way to be doing that as we speak. That Grape Juice: We hear that you’re touring with Olly Murs; tell us a little about how that came about and what fans can expect from the show? Rak-Su (Ashley): So Olly, we actually spent a lot of time with playing Soccer Aid last year, so everyone who was involved in Soccer Aid built relationships and friendships and carried on talking after that. So after he was arranging his tour and obviously needed a support act, while we knew each other and too I guess fan wise, a lot of his fans would like our music and we’re hoping to be able to put on a good show for them because he’s a bit of a showman himself, so it just makes sense. For us whenever we’re on stage I guess the aim is for everyone to have seen us, to come away with a catchy hook stuck in their head, smiling because we’re smiling and a whole load of energy as well, just good vibes through our whole set. That Grape Juice: It’s been two years since The X Factor. Looking back, what advice would the Rak-Su of today give the Rak-Su then going into the show two years ago? Rak-Su (Myles): I think it would just be embrace the moment, live in the moment and don’t forget to enjoy it because it’s very easy to get lost in the tension and anticipation of waiting to get through to the next week. So just embrace the moment, enjoy it and work hard because at the end of the day hard work really does pay off, and we are showcases of that, that hard work really does pay off. Just keep grinding. That Grape Juice: Speaking of The X Factor, there’s been a lot of talking about them switching up the show this year; an All-Star approach that wouldn’t see the traditional show air this year. Have you heard anything about that? 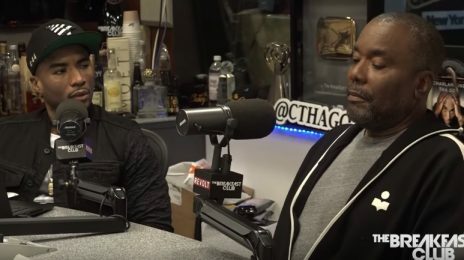 Rak-Su (Myles): I read something about that actually, it was on the news isn’t it, it’s kind of been in the tabloids and stuff. That Grape Juice: Yes. On that topic: beyond yourselves, who are you favourite alumni from the show’s history? Rak-Su (Ashley): I think for me, obviously the girls, Little Mix are amazing and they’re genuine friends of ours as well. I’ve got mountains of admiration for James Arthur because of the way that he’s done things and he came out, I guess he’s a big example of Rome not being built in a day because actually nearly everything went away for him and he had to take the time to then go and rebuild himself to get back to where he is now. They’re the two that come to my mind, immediately anyway. Rak-Su (Mus): Can’t really forget One Direction, either! That Grape Juice: We’re big on positivity here at TGJ. If you could put any achievements into the air that you want to occur before the end of 2019. What would they be? Rak-Su (Myles): I think for all of us, it would be our own headline sold-out tour, some more top 40 singles and maybe so, maybe not, an album release. Just more success, some charting singles. The amount of songs we recorded last year there better be some top charting singles in there [laughs]. Just more success and more good times. That Grape Juice: Do you have any message for your fans? Rak-Su: Just thank you for sticking by us and being patient, we’re going to reward their patience and their loyalty with a whole load of new music and releasing ‘Rome’ is the starting point of that and now we’re not going to stop. So it’s going to be consistent activity and consistent music from us. Fleur East is back and her fierce new single ‘Favourite Thing’ is already living up to its billing.